Ser-Tec group is present with Eagle and Beled at stand 1A6/B5 guest of his French dealer Thermoflan. Do not miss the opportunity to see our products live! 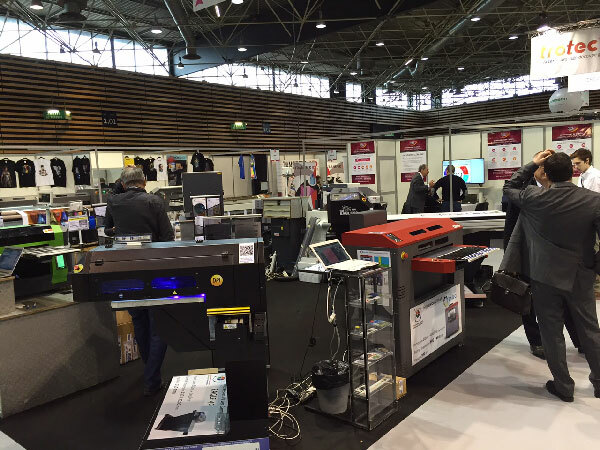 C!Print is one of the most important expo in France for the advertising and marketing print and it's the idal showcase for our UV Led printers with UV Led technology Eagle and Beled. After the Eagle Line presented on the first part of the year, Ser.Tec present a new model of Eagle series: The Eagle XL. 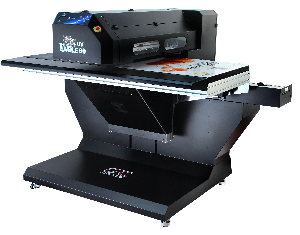 Eagle XL is studied for large format printing applications ad is characterized by a customizable print table starting from 2.5 meters with vacuum and blowing functions. 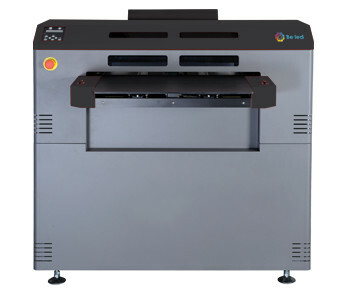 The two options for print width are 600 and 1050mm while the max printable thickness remain 250mm. The available inks are Water base, UV and Hybrid. We inform you that our company will be closed for the Immaculate Conception extended weekend from 05/12 to 08/12 included. Orders of spare parts and colors will be processed from 09/12. 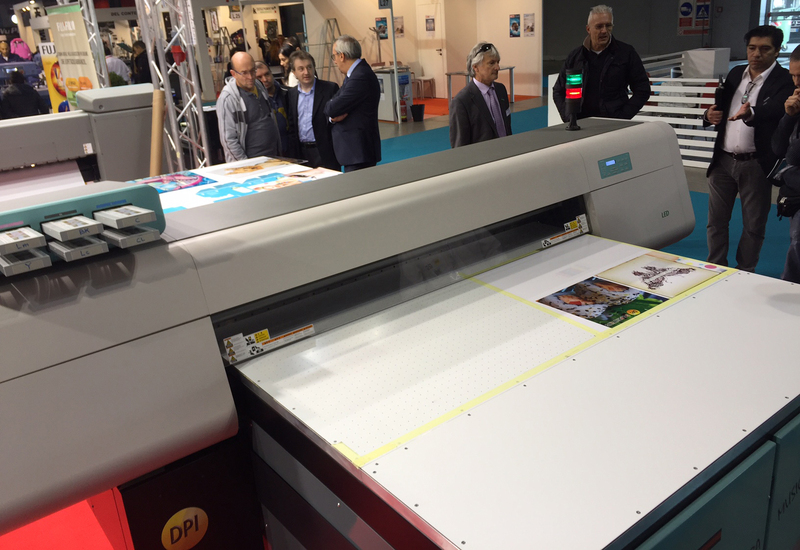 DPI Dg Printing has presented a new large format UV Led printer, UP FJ with a print area of 1600x3000mm. 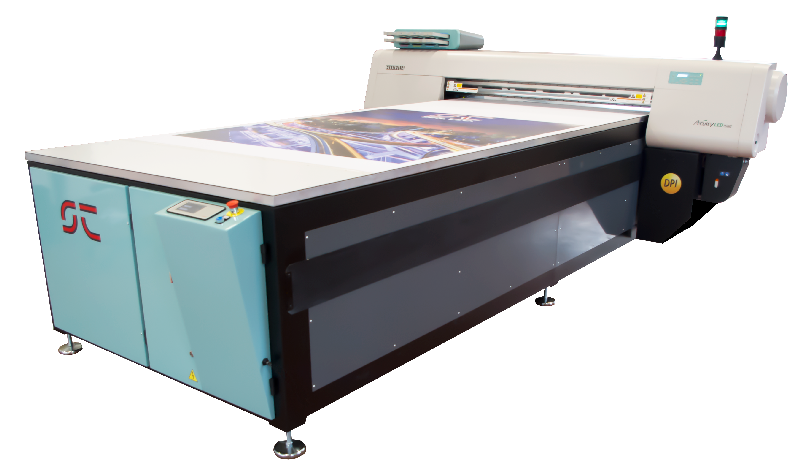 UP FJ is based on Fujifilm Acuity 1600 printer but its characterized by a print table of 1640x4200mm with variable height up to 250mm. The vacuum and blower table divided in three independent zones is studied to hold the objects and help the moving and positioning of panels. 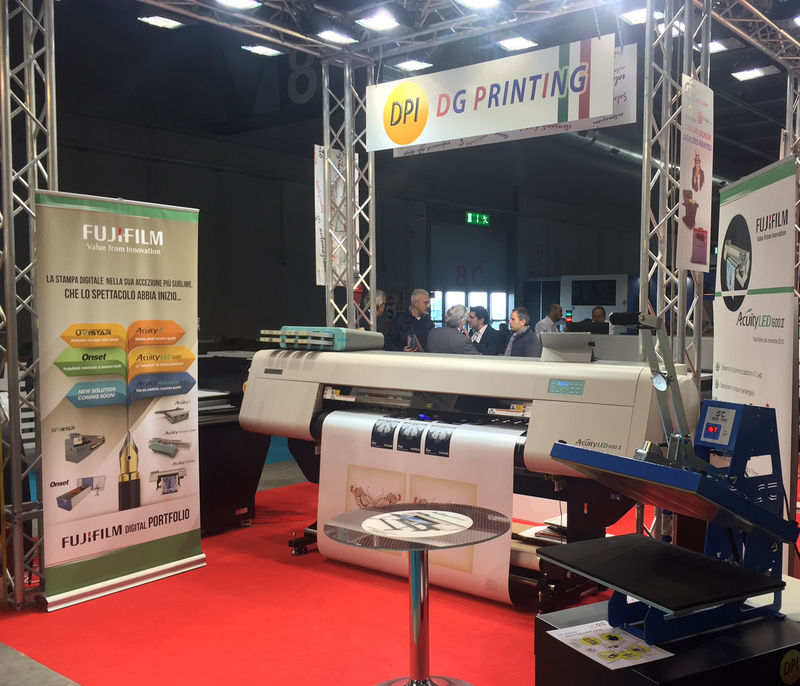 Like on Fujifilm Acuity 1600 each channel is managed by a single DIMATIX FUJIFILM print head with drop on fly technology that allow UP FJ to reach a resolution of 1200dpi and guarantee the coverage even at the higher speed of 30 mq/h. 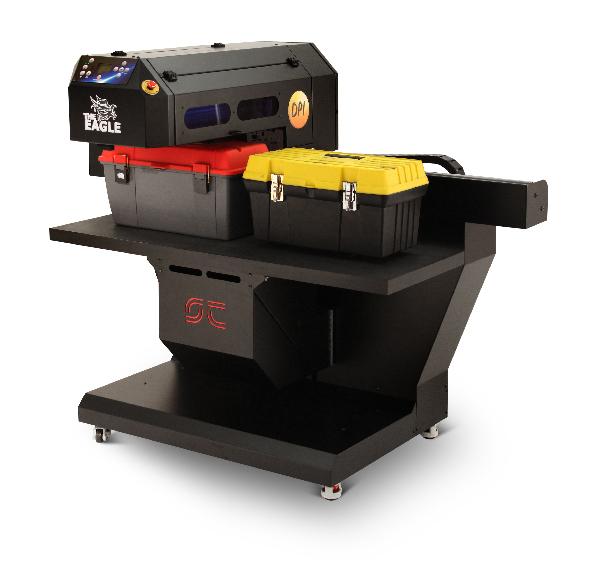 The LED lamp system is perfectly tuned to cure its own Uvijet ink with the print that is ready to be used straight away. design, sign, glass, ceramic, packaging, etc. Even this year the public affluence at Ser-Tec group stand has been intensive confirming the last years trends. 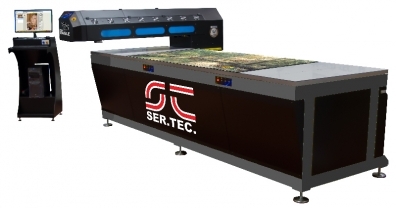 Much interest for the new UP FJ a flatbed printer based on Fujifilm technology with Ser-Tec table presented during the event.Performance and quality makes this printer a novelty in its sector ranging on many application sectors like home-design, sign, glass, ceramic, packaging, etc. Good affluence also for the UV Led printer Fujifilm Acuity Led 1600, a roll to roll printer with the possibility to be converted to print on rigid media thanks to the dedicated kit. 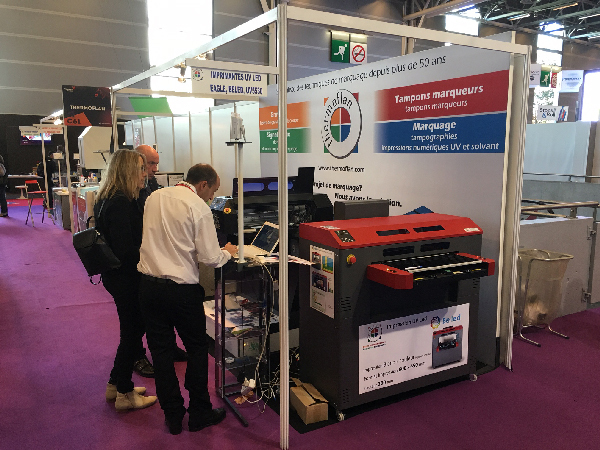 Eagle and Beled were present at Viscom Paris 2015 with French reseller Thermoflan. 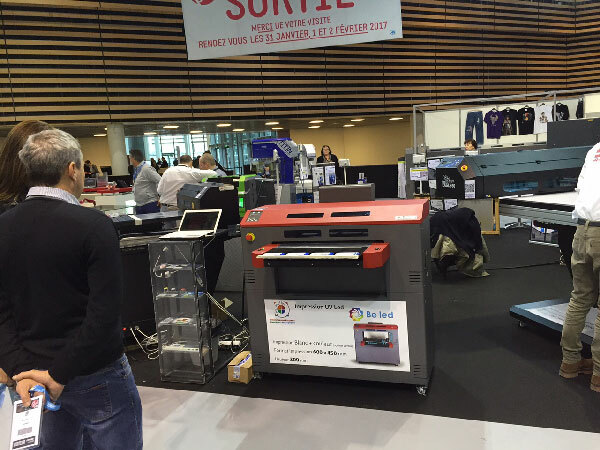 Both printers have attracted many visitors for versatility and the ability to print on many surfaces, printing with 3D effects and printing on circular objects. 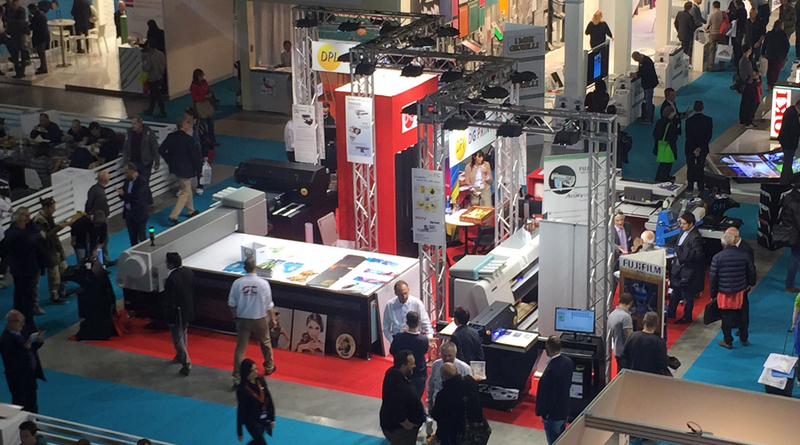 During the three days of exhibition was confirmed the good trend of last years with an increasing interest in new printing technology and in UV LED printing of small and medium format.